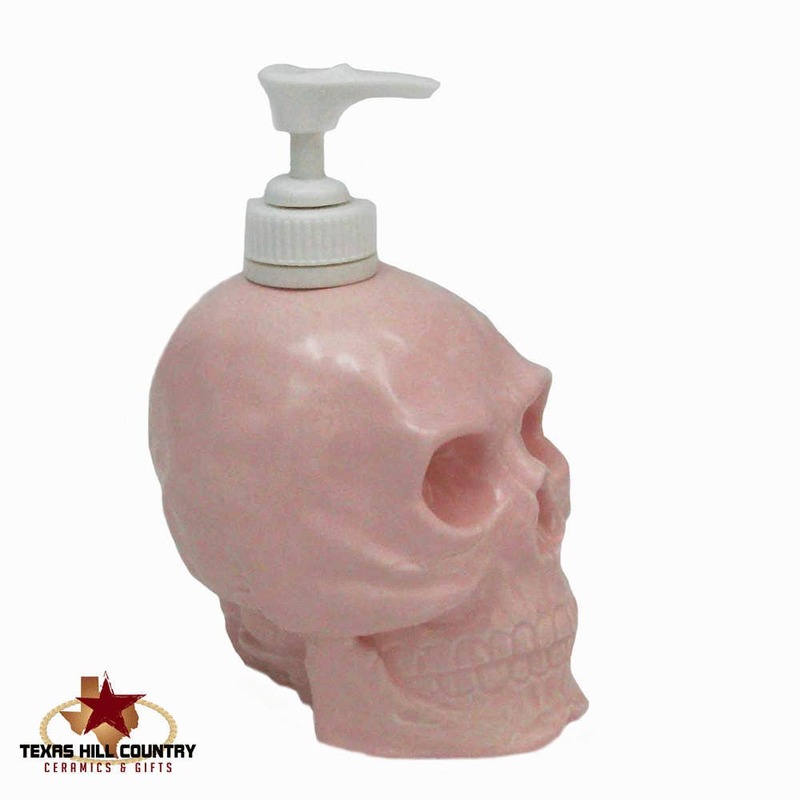 This light pastel pink skull is designed to be used as a soap dispenser. It is part of my skull collection, it makes a great accent piece for pirate theme decor, Horror and Halloween decorating and adds a little creepiness to any area of the home or office. 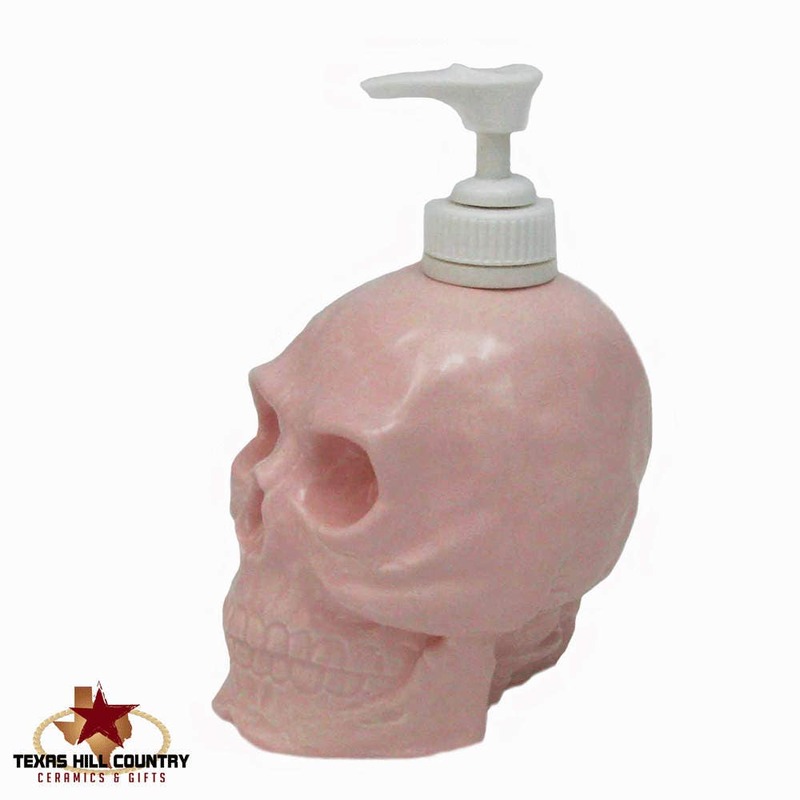 This skull dispenser is made of kiln fired domestic ceramic clay and finished with lead free gloss glaze. The pump dispenser is secured at the top with a threaded collar affixed with a strong epoxy glue. The inside of my dispensers are finished with lead free glaze. Dispensers with unglazed insides will 'weep' its contents over time causing the outside to flake or peel. 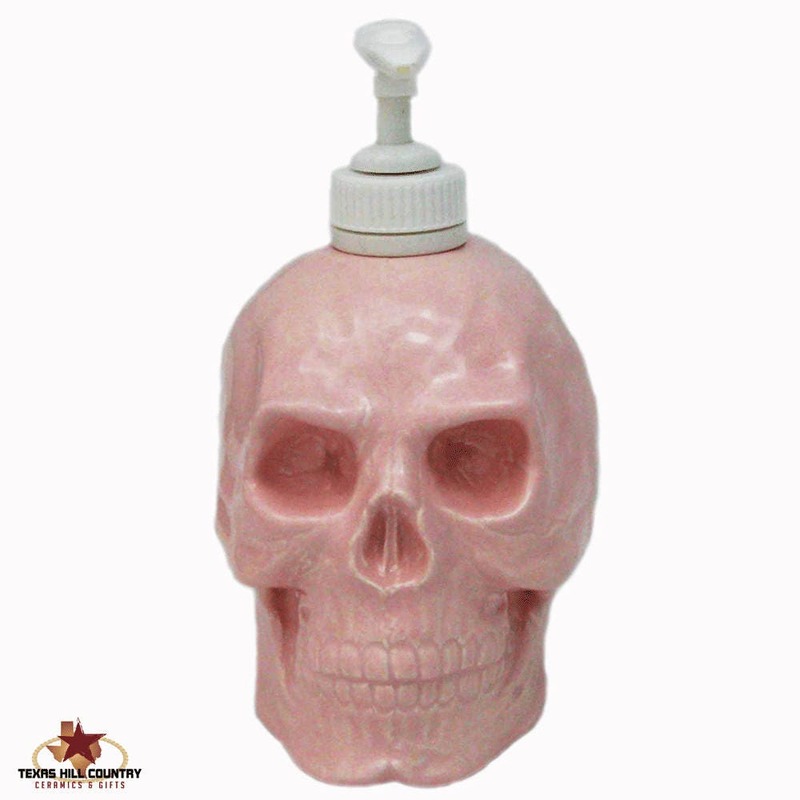 This skull dispenser is made for fun, it can also be used to hold condiments such as ketchup, dressing or mayo, your imagination is the limit. The seller and I both live in Texas so once this shipped it arrived lightning fast. I love it - so much better than the St. Ives bottle on my bathroom counter. The pink is a delightful pastel. Basically I'm obsessed.